As quinoa goes mainstream, Whole Foods is scrambling to catch up with lower cost competitors in the market for organic produce and healthy packaged foods. 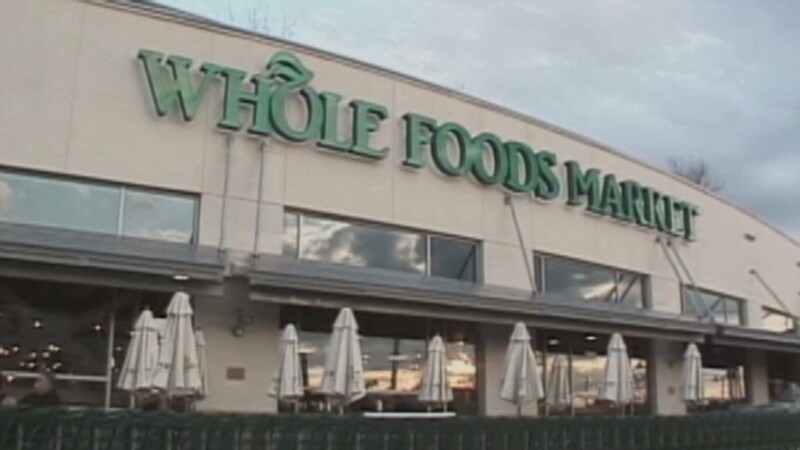 Shares of Whole Foods Market (WFM) plunged 19% on Wednesday, one day after the organic grocery chain reported quarterly earnings that missed analysts' expectations. Whole Foods said its first-quarter results were hurt by increased competition and lower prices as it tries to dispel the notion that it only caters to customers with expensive tastes. Like many retail chains, it also put some of the blame on inclement weather for keeping shoppers from coming in the doors. But the big worry for investors was Whole Food's outlook for the future. The company lowered its expectations for earnings this year, raising concerns on Wall Street that Whole Foods may not return to robust growth any time soon. "We were overly optimistic in our ability to compare against the record-breaking results we have produced for the last few years," CEO John Mackey told analysts in a conference call. "Particularly in light of the rapidly changing competitive landscape and our ongoing strategy around value." While the health food market is booming, Whole Foods is no longer the only grocery chain catering to the specific needs of elite foodies and yoga moms. Consumers are now looking for tofu and granola at a better price. Sprouts Farmers Market (SFM), which went public last year, has built its brand around health foods that cost less. Even big discount chains like Walmart (WMT) and Target (TGT) have been moving into the market for fresh produce and healthy packaged food. In response, Whole Foods has begun experimenting with lower prices in an attempt to lure more cost-conscious customers. At the same time, Whole Foods is trying to "differentiate" its product offerings to avoid alienating its loyal customers, who demand responsibly farmed seafood. It's a tough balance to strike, and investors seem to have reservations. 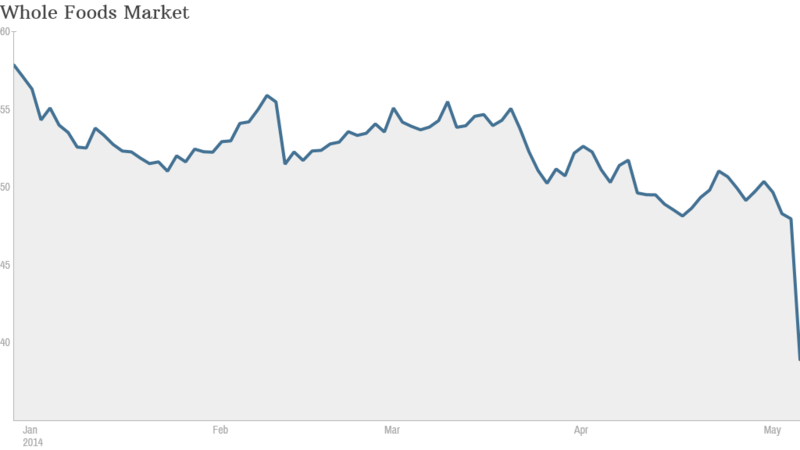 The stock fell below $40 for the first time since February 2012. Wall Street analyst unleashed a flurry of research on Whole Foods Wednesday morning, most of it negative. Cantor Fitzgerald lowered its rating on Whole Foods stock to "sell" from "hold," saying the company has reported disappointing results in the past six out of seven quarters. Deutsche Bank (DB) and BMO also downgraded the stock. But at least one analyst believes Whole Food's mojo is still working. The more conservative outlook "will likely beg questions about its growth story, but has also now set a lower bar to execute against and we don't think it has entirely lost its mojo," wrote Wells Fargo analyst Kate Wendt in a report. Wendt said the biggest problem is that few customers are aware that the company is now focusing on value. While it will take time for the value strategy to translate into sales growth, Wendt said focusing on price is the right approach. The perception that Whole Foods is expensive is the number one reason more people don't shop there, according to Wells Fargo's research.